Time to Put the United Nations Out of Business? What, exactly, is the U.N. good for? Hundreds of thousands have been slaughtered in Syria, and no one looks to the U.N. for a solution, just as no one expects the U.N. to do anything about ISIS or al Qaeda. Wars have raged in Congo and across much of Africa, and the U.N. has done little but embroil itself in an unending series of sexual exploitation scandals. The Middle East has been in turmoil for years, from Libya to Afghanistan, and what contribution has the U.N. made? None. So the organization’s grandiose claims to be a force for world peace are hollow. If the U.N. is useless with regard to actual international crises, what does it do? No doubt there are U.N. agencies here and there that do some good, although the cost of the larger organization is likely far greater than what it would take to fund the groups that are actually useful. More often than not, it seems that the U.N. is on the side of evil, as in the current UNESCO controversy. Many of the member nations of the U.N. are engaged in a long-term project to delegitimize Israel, with the object of turning that country over to the surrounding Arabs and, presumably, driving out or killing the Jews who now live there. The latest phase of this effort is a proposed UNESCO resolution that attacks Israel on various grounds–nothing new there–and, most notably, implicitly denies the connection between Jews and Temple Mount, or Jerusalem. The United Nation Educational, Scientific and Cultural Organization (UNESCO) passed a draft resolution on Thursday that failed to acknowledge the Jewish people’s ties to the Temple Mount, raising ire in Israel. First of all, Israel is not an “occupying power” in Jerusalem within the meaning of the Geneva Conventions. This is the usual nonsense perpetrated by international leftists. Beyond that, UNESCO’s attempt to deny that Jerusalem has any historical connection to the Jewish people is absurd. My reaction to this story is the same as Benjamin Netanyahu’s: Have they not read the Bible? David conquered the Jebusites and captured Jerusalem 3,000 years ago. Jerusalem has been the center of Jewish life and worship ever since. Herod the Great raised the Second Temple, where Jesus taught and, according to the Gospels, drove out the money-changers. Jesus was arrested, tried and executed in Jerusalem. 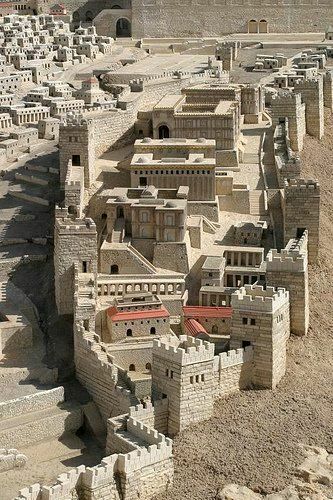 The Romans destroyed the Second Temple following the Jewish rebellion not long thereafter. Jews have lived in Jerusalem, and sought to return there from around the world, for millennia. Muslims arrived in the area roughly 1,600 years after the Jews, on the most charitable interpretation of history. Temple Mount is exactly that–the site of the Second Temple, for sure, and perhaps, as tradition records, the location of Solomon’s temple and, long before that, the place where Abraham almost sacrificed Isaac. To suggest that Temple Mount has no historical connection to the Jewish people, and the modern state of Israel, is ridiculous–precisely the sort of absurdism that international leftists, and especially Arabs, engage in. It would be like claiming that Washington, D.C. has no connection to the American people, only worse, by 2,750 years or so. The Israeli government has gone to the length of issuing a publication detailing the millennia-long relationship between the Jewish people and the Promised Land. I admire the Israelis’ patience, but in their shoes, I think I would tell the lunatics–the UNESCO resolution was sponsored by Algeria, Egypt, Lebanon, Morocco, Oman, Qatar and Sudan, and supported by any number of Europeans–to get stuffed. The evil done by the United Nations is palpable, while the good is obscure and mostly presumed. Is there a compelling reason why hard-pressed American taxpayers should continue to support this organization? Is there a good reason why the U.N. should continue to exist? These are serious questions that should be debated. Unless someone has a good argument to the contrary, I incline to the view the the United Nations should go out of business.